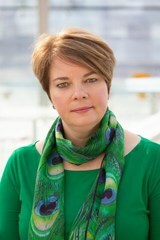 We are delighted to be joined by Nicola Beach, Chief Executive of Suffolk County Council at our May Networking Lunch. Nicola will be sharing an insight into her first year in her role as Chief Executive as well as her reflections, growing Suffolk’s economy, how the County Council works with business and future plans and challenges for the County. This is an excellent opportunity to hear from the Chief Executive of your county council, pose questions and share any view you may have.